CONICET researchers at IBR participated in a study with potential biotechnological applications. IBR researchers developed a photosynthetic platform to produce polyketides. Polyketides are molecules with important applications in medicine, agriculture and other industries. The main inconvenient is that several of these compounds are produced in the nature from microorganisms that cannot be cultivated in the laboratory or are difficult to manipulate genetically. 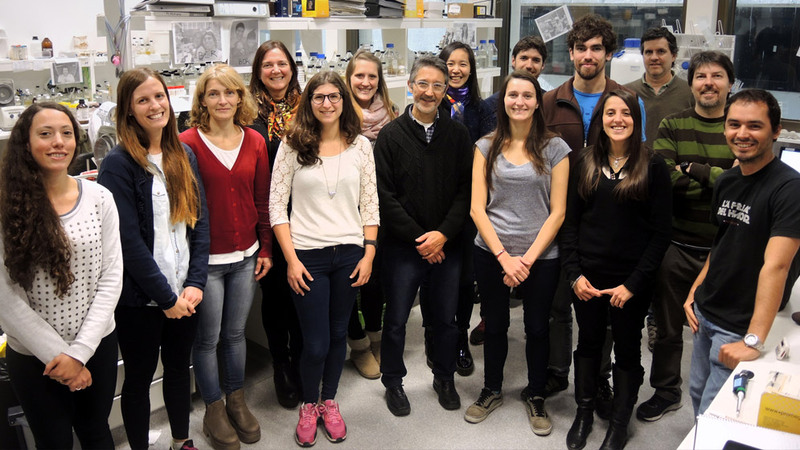 To provide a solution to this problem, the research team of the Instituto de Biología Molecular y Celular de Rosario (IBR, CONICET-UNR) has worked for seven years to obtain new biological molecules that can have different biotechnological applications. So this research group along with two laboratories of the University of California, San Diego (UCSD), managed to develop a platform to produce polyketide compounds from photosynthetic microorganisms, specifically cyanobacteria. This platform allows scientists to produce, in a versatile and sustainable way, high value-added molecules in microorganisms that are easy to manipulate genetically and are capable of growing only with carbon dioxide and solar light. This development was recently presented in Metabolic Engineering. Julia Roulet, CONICET doctoral fellow, was the first author of the study in which her director Hugo Gramajo (Senior researcher) and Ana Arabolaza (Associate researcher), both CONICET scientists, participated. The research shows this photosynthetic platform’s capacity to produce derived compounds of the PKS enzymes with potential applications in the industry of bio-lubricants.